""This (No Suggestions) Duty Belt is loop lined and made from tough double-layered web construction. Smooth edge-binding adds extra comfort. It features the Tri-Release shatter-resistant polymer buckle. It's 3-point release provides extra security from inadvertent. The PatrolTek Liner Belt has a hook exterior for use with duty belts having a loop outer surface. It features durable web constuction and edge binding for long lasting wear and good looks. 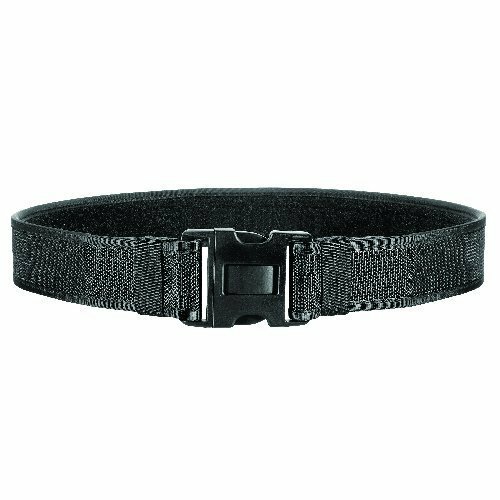 Bianchi 8100 PatrolTek Tough Nylon Web Duty Belt, Black, Medium fits 34" to 40"
Tough nylon web construction Tri-release shatter-resistant, polymer buckle features for added security 2" width NOTE: Belts are 2" oversized to accommodate garrison belts. Specify exact waist size when ordering. 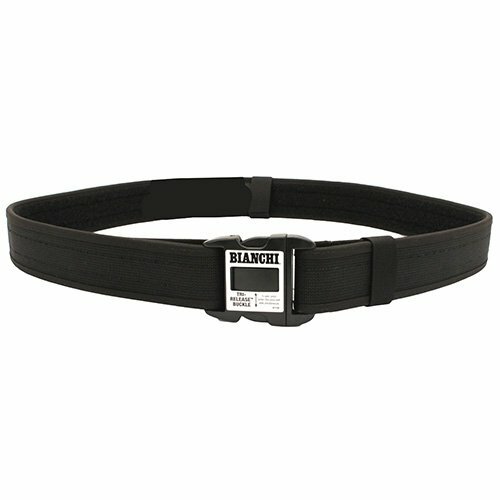 BlackMedium fits 34" to 40"
Manufacture ID: 31321br>br>This PatrolTek Duty Belt is loop lined and made from tough double-layered web construction. Smooth edge-binding adds extra comfort. It features the Tri-Release shatter-resistant polymer buckle. 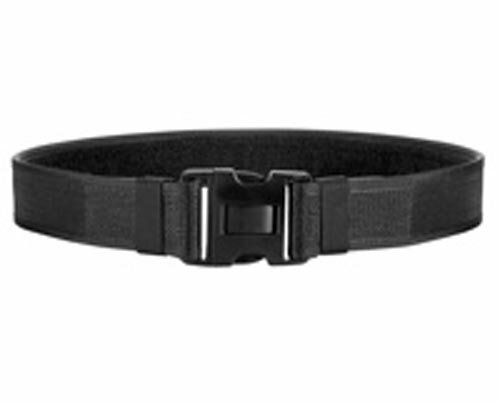 It's 3-point release provides extra security from inadvertent release.br />br />Features:br />br />- Tough nylon web construction br />- Tri-Release shatter-resistant polymer buckle features for added security br />- 2 width br />- Belts are 2 oversized to accommodate liner belt and padding. Specify exact waist size when orderingbr />br />Specifications:br />br />- Size: Smallbr />- Fits: 28" - 34"br />- Color: Blackbr>br>Warranty: In accordance with the provisions of the California Song-Beverly Consumer Warranty Act the product is sold AS IS and WITH ALL FAULTS. Should the product prove defective the buyer assumes the entire risk of all necessary servicing or repair. Tough nylon web construction. Tri-release shatter-resistant polymer buckle features for added security. 2.00 in. Width.